1. The official name of the institution is Foundation of Science and Liberal Arts - Domus Dorpatensis (hereinafter: the Foundation). 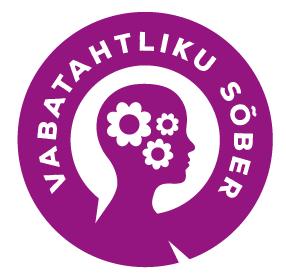 The Estonian version of the name is Teaduse ja Kultuuri Sihtasutus Domus Dorpatensis. 2. The Foundation is a private legal entity that operates in compliance with the legislation of the Republic of Estonia and these articles of association (hereinafter: Bylaws). 3. The Foundation has its own seal, bank account and relics. 4. The Foundation does not have specific beneficiaries. 5. Initially, the Foundation is set up for a term of six years. After an efficiency evaluation the term can be extended for another six years and upon a positive outcome at a subsequent evaluation the Foundation will be held to have been established for an unspecified term. The evaluation will be carried out by the founders of the Foundation in conjunction with its supervisory board (the Council). If necessary, sections 39 and 40 of these Bylaws are applied. 6. The financial year of the Foundation is the calendar year, starting on 1 January and ending on 31 December. 7. The registered office of the Foundation is in Tartu. The address of the Foundation is Raekoja plats 1 / Ülikooli St. 7, Tartu 51003, Estonia. 8. The objective of the Foundation is to advance and spread knowledge related to the sciences, society and culture. 8.1 The Foundation primarily supports the development of areas which directly serve people, society, the environment, international cooperation and peace. 8.2 The support offered by the Foundation is not confined to particular areas and is dependent on the financial situation of the Foundation. h. maintaining homepages, engaging in internet marketing and other communication activities. 8.4 The founding members of the Foundation, represented by Alexander von Rücker, can, during the first 6/12 years, impact the core areas of activities and research of the Foundation by specifying or changing them with the aim of achieving the objectives of the Foundation and, if necessary, by redefining them. 8.5 If necessary, other measures shall be taken to accomplish the Foundation's objectives and goals, provided these measures fully abide by these Bylaws and the relevant legislation. 8.6 No person can be supported by the making of disbursements which are not in conformity with the objectives of the Foundation or the amount of which is unreasonably high. 8.7 The Foundation will publicize its activities and their results in suitable media, through publications and events. 9. The governing bodies of the Foundation are its management board (the Board) and its supervisory board (the Council). 10. The Board of the Foundation is appointed by the Council for a term of five years. The Board is comprised of two to seven members. The members of the Board shall elect a chairman from among themselves and, if necessary, may appoint and hire a CEO for the day-to-day management of the Foundation. The members of the Board are remunerated with a compensation the amount of which is in reasonable proportion to their duties and the economic situation of the Foundation. The amount and terms of payment of the remuneration shall be set by the Council. 12. Every member of the Board is authorized to officially represent the Foundation in all actions and legal transactions, unless otherwise indicated by a respective entry in the Commercial Register. Nevertheless, for any transaction whereby the Foundation commits to obligations exceeding 10 000 euros in value, the approval of the chairman of the Board is required. 13. Should the circumstances so require, the Board is entitled to authorize a person to act on behalf of the Foundation in a transaction and/or transactions during a prescribed period of time, unless otherwise stipulated by the law. 14. A member of the Board may resign from the Board by notifying the Council thereof in writing at least two months in advance. When a member of the Board steps down, his or her powers and authorizations are relinquished. 15. The Board makes all decisions at Board meetings. Meetings of the Board shall be held as necessary, but not less frequently than once every two months. Meetings are called by the chairman of the Board or by a member of the Board substituting the chairman. A meeting must always be convened if so required by the Council or by at least half of the members of the Board. Minutes shall be taken of all meetings of the Board. 16. Meetings of the Board have a quorum if over one-half of the members of the Board participate. Resolutions of the Board are adopted if over one-half of the members of the Board who participate in the meeting vote in favour. 17. The supervisory board (the Council) supervises the functioning of the Foundation and the activities of the Board. The Council decides whether the principles of operation of the Board and the structure of management of the Foundation comply with the Bylaws, and assesses the outcomes of the activities of the Foundation. The Council supervises the achievement of the objectives of the Foundation and the use of its resources. 18. The initial composition of the Council is determined and appointed upon formation of the Foundation. 19. The Council is comprised of five to eleven members. In addition to the members of the Council, honorary members can be appointed from among the members of previous compositions of the Council. Such honorary members have the right to participate in Council meetings. A honorary member does not have a voting right nor any duties, but may participate in voting if he or she has been appointed as a substitute for a current Council member. 20. The Council is appointed for a term of three years. After three years a new composition of Council members is appointed. 21. During the first 12 years of operation of the Foundation the outgoing Council members shall nominate candidates to the next composition of the Council and, in order to be appointed, these candidates need to be approved by Alexander von Rücker as the representative of the founders. After the passing of 12 years from the foundation of the Foundation the power to approve the appointment of new Council members is passed from Alexander von Rücker to the Council. A member of the next Council will then be appointed if at least 2/3 of the members of the outgoing Council vote in favour. In the event of disagreements the Council may appoint an honorary member to act as an arbiter who will then decide on the appointment of the member. Appointment of an honorary member of the Council requires a unanimous vote of Council members. Honorary membership is not limited to a specified term. Honorary membership can be terminated if the honorary member behaves unworthily. 22. The members of the Council shall elect a chairman from among themselves, who shall organize the activities of the Council. The term of office of the chairman coincides with that of the Council, or ends sooner in the event of resignation or recall from the position of the chairman or from the Council. 24.12 performs other obligations imposed on it by legislation or these Bylaws. 25. The members of the Council have the right of access to the Foundation's documents. Likewise, the Council can request from the Board information concerning the management, economic activities and general situation of the Foundation. 26. The Council adopts decisions at meetings. The meetings are held as necessary, but not less frequently than once a year. Meetings shall be called by the chairman of the Council or by a member of the Council substituting for the chairman. The chairman of the Council or a person substituting for him or her is obliged to call a meeting of the Council if this is demanded by at least two members of the Council, the Board or an auditor. The first meeting of the Council is called by the founders. 27. Meetings of the Council have a quorum if at least 50% of the members of the Council participate. It is allowed to authorize another Council member to vote on behalf of a Council member. Such authorization must be given in writing. A member of the Council cannot be authorized to vote for more than one other member. It is allowed to participate in a Council meeting or its relevant parts via telephone (conference call), provided that other Council members are given at least two days advance notice. 28. Resolutions of the Council are adopted if over one-half of the members of the Council who participate in the meeting vote in favour, unless the law or these Bylaws prescribe a greater majority requirement. In the election of a person, the candidate who receives more votes than the others shall be deemed to be elected. 29. On exceptional cases the Council can adopt decisions via written notes or means of telecommunication, without calling a meeting, provided that all members of the Council vote in favour of the relevant decision. 30. Minutes shall be taken of meetings of the Council and its decisions shall be documented. The archiving of minutes, decisions of the Council and other documents reflecting the functioning of the Council shall be organized by the Board. 30a. The Council of the Foundation may elect from among its own members an executive body who, in between meetings of the Council, has the powers of the Council to a limited extent. In execution of sections 24.3, 24.8 and 25 the executive body is entitled to adopt decisions at its own discretion. All members of the Council must be informed of the more important issues in relation to sections 24.2, 24.4, 24.7, 24.10 and 24.12 via e-mail and the majority of the Council members must approve these decisions. Short annotations of all decisions must be available at Council meetings in written form. 31. The Foundation is the owner of its property and assets. All its proprietorship and ownership rights are exercised by the Board in full compliance with the legislation and the Bylaws. 32.5 gains earned from its economic activities. 33. Assets of the Foundation are used only in accordance with its set objectives. The Foundation’s assets are reflected in its balance sheet. 34. In case an endowment is made for a specific purpose, at the donor’s will an agreement is concluded which specifies the donor's demands concerning the purpose and manner of use of the endowed property. At the donor’s request a report on the use of the endowment is provided. 35. Amendments to the Bylaws can only be made to reflect changed circumstances, taking into account the objectives of the Foundation. The purposes of the Foundation, however, cannot be changed. Amendments to the Bylaws can be made by the Council (with the consensus of two thirds of its members) on the founders' consent. Suggestions for amending the Bylaws can be made by the Board. 36. The Foundation may decide to merge with another foundation, provided their purposes coincide and the merger is allowed by the other foundation's bylaws. 37. The splitting of the Foundation is allowed only if it is necessary to better accomplish the Foundation's purposes. 38. Merging or splitting is decided by the Council whereas the approval of two thirds of its members is required. In addition, the approval of the founders is needed. 39. The Foundation's activities are terminated in accordance with the law. The Council, on agreement with the founders, can terminate the Foundation's activities if the circumstances have changed to such an extent that the achievement of the Foundation’s objectives proves to be impossible. If the Foundation, during the first 6 or 12 years from its formation (cf. section 5), has failed to generate the resources vital to its operation, the founders may demand termination of its activities. On termination of the Foundation the founders must give their approval for the use of the Foundation’s remaining assets. Such use must be in accordance with the laws and the Bylaws. 40. After satisfying the creditors' claims, the remaining assets shall be transferred to another organization with income tax incentives from the government or to any public legal person. 41. The ultimate decision for terminating the Foundation's operations is vested with the Council on agreement with the founders. The motion for termination has passed if all members of the Council and all founders have voted in favour. If the founders have not, within six months after they have been addressed in writing, voiced their opinion on the issue, the Council will be considered to have acquired, within the boundaries set by the Bylaws, all rights to act independently, or, if necessary, on the approval of the authority supervising the activities of the Foundation.